As the whole family has had the flu since before New Year’s, this is my first trip out in 2013. 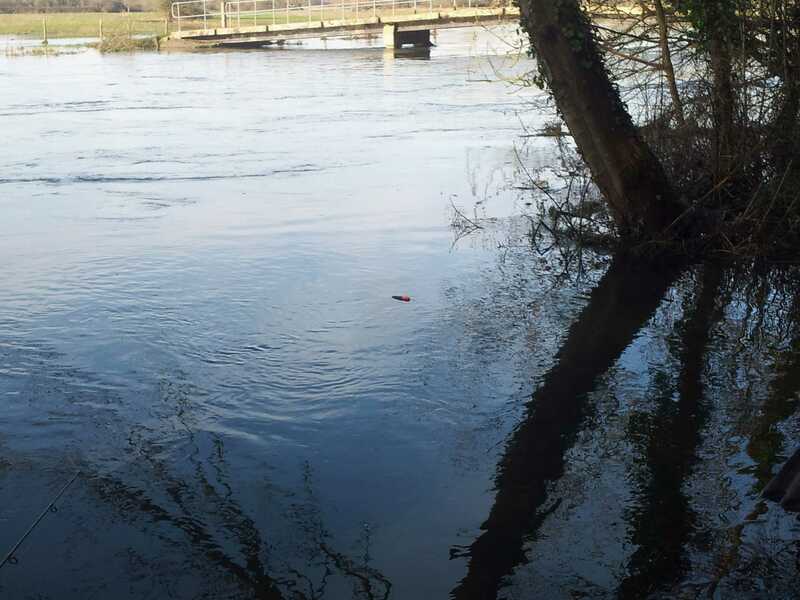 As the floods are still going strong and the lake temperatures are still low. 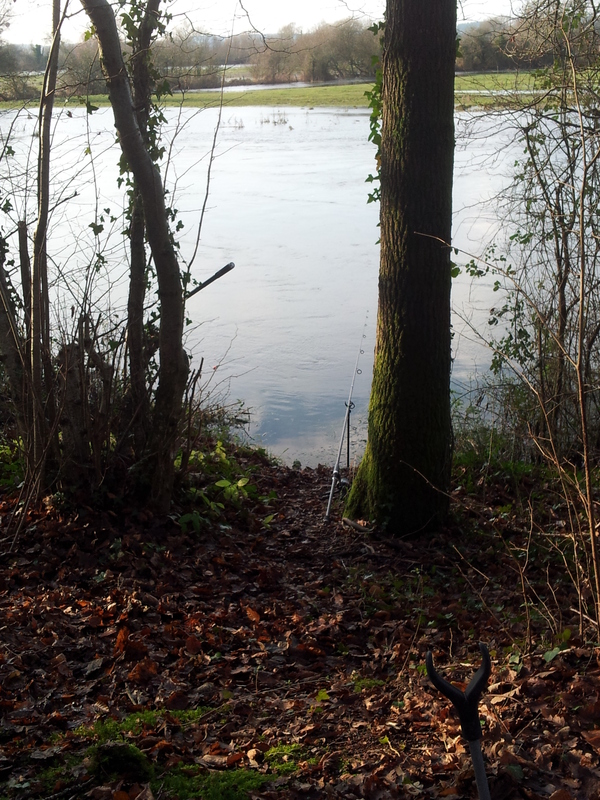 I decided to go back onto the Hampshire Avon and have a go for some more pike. I still needed my waders to get to the swim. I only set up one rod with a nice half mackerel on the end and flicked it out in a nice bit of slack water. I will get it about an hour here and if no joy, will move on. 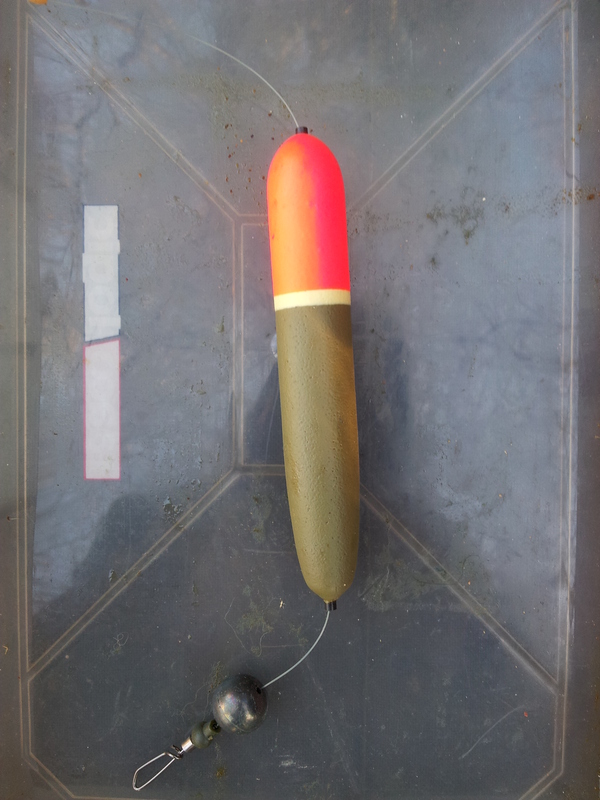 Below is a picture of my very simple Pike rig, made up of five components – float stop, float, ball lead, rubber bead and a snap link to attach the wire trace to. Time to move swim soon. After a quick walk down stream, I set up again in a large area of slack water below a big raft of weed created by a tree that had fallen in, over the winter. I have put a nice fresh bait on as well, hopefully that will do the trick. Well after no joy, it was time to head back to my banker swim by the old boathouse and with the light fading fast, I hope my luck is in today, Unfortunately no Joy today.